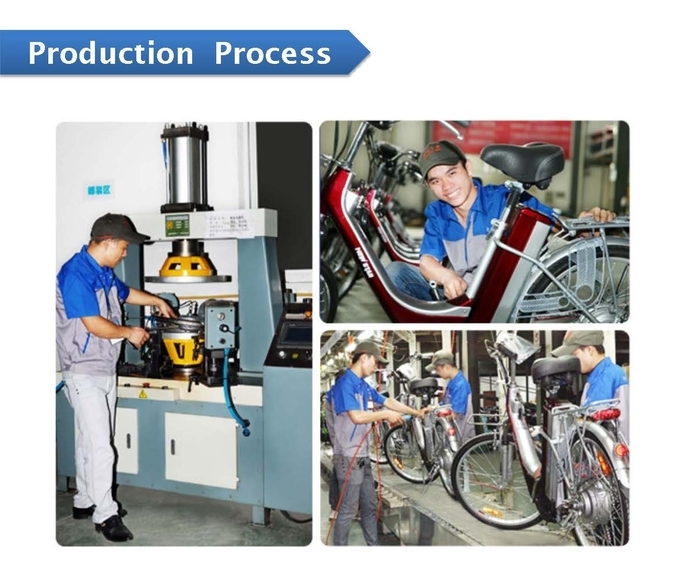 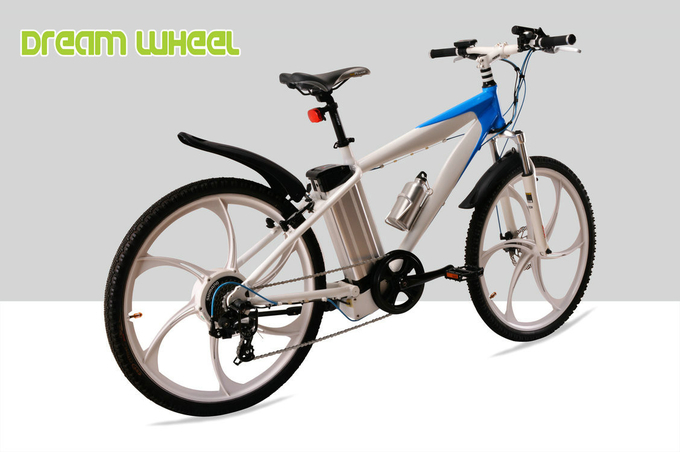 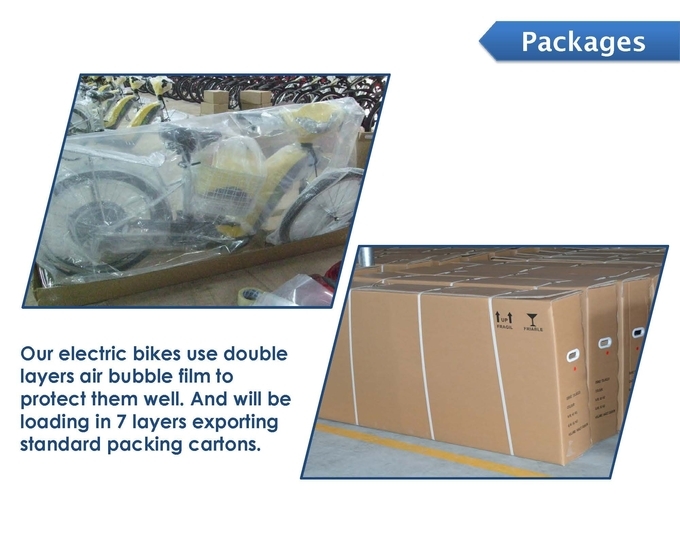 For this ,MTB electric bike, the key feature is to use magnesium alloy complete rim, make the whole bike looks cool and fashion. 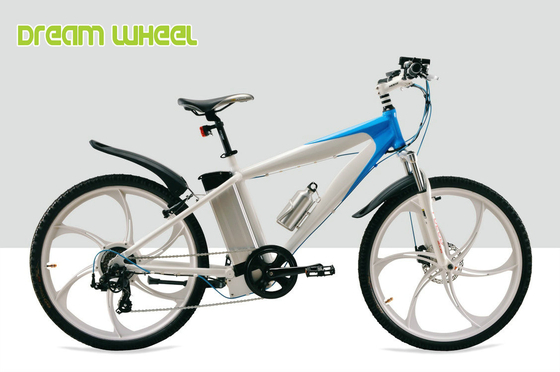 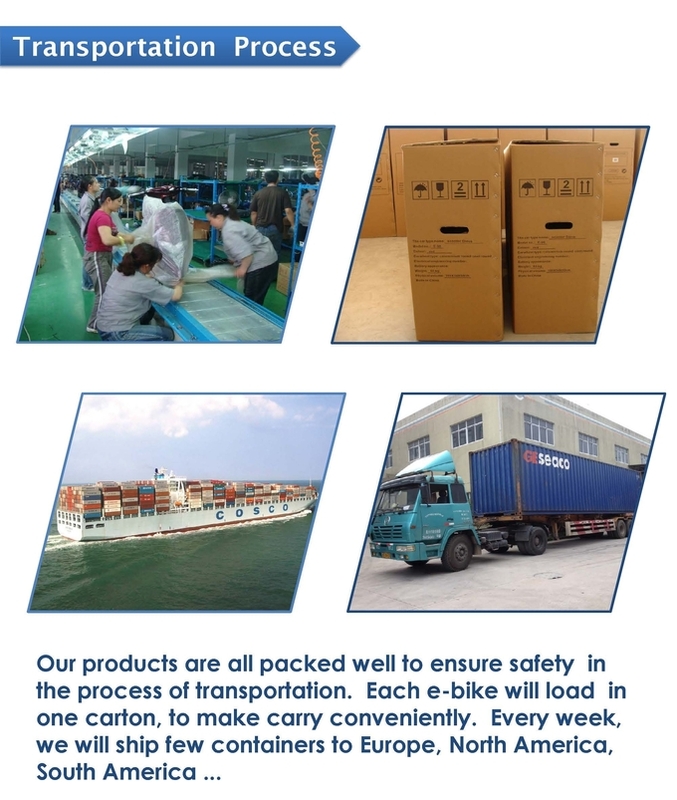 Not only this, but also with lightweight and durable performance. This design for American users, but sales well in Europe, like Italy and Bulgaria. 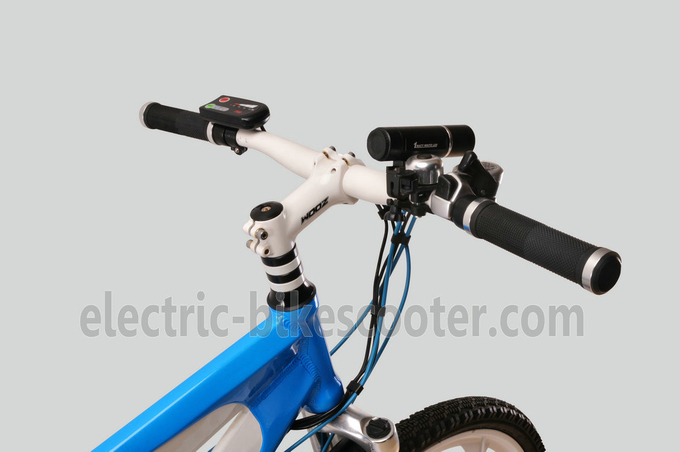 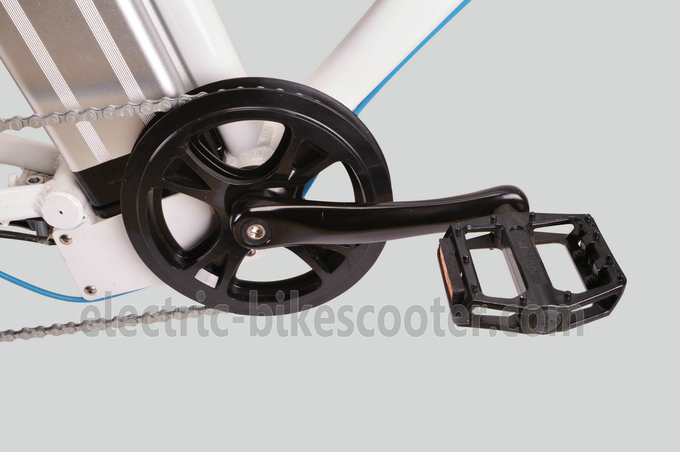 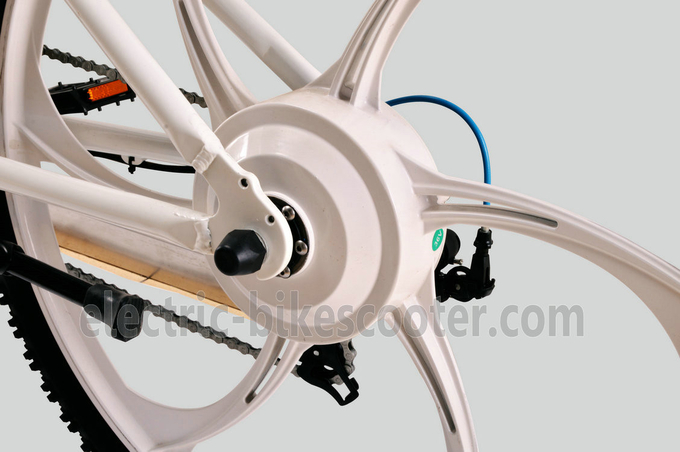 The front hub made with quick release style, and motor cable also with quick connector way, both offer convenient after sales service. 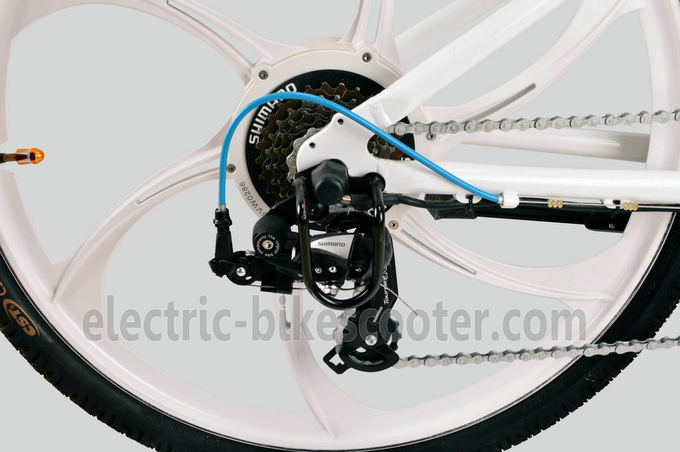 Zoom suspension, ZOOM disc brake, Shimano RD-TX55 derailleur, Kenda off road tire, KMC rust-proof chain, Velo mountain style saddle, magnesium alloy rim and quick released front hub, all this components make HP-E008 plus bike with the ultimate practical utility and unique style.